A joint commission of Turkey’s major Christian denominations has published an historic book of concise Christian doctrine, receiving the unprecedented endorsement of all the nation’s Orthodox, Catholic, Armenian, Syriac and Protestant Churches. According to Armenian Bishop Sahak Masalyan, keynote speaker at the formal book launch in Istanbul of the English edition on 3 February, the “most spectacular aspect” of the book is in fact its first page of endorsements, which he declared “akin to a miracle”. “[This book] expresses the shared beliefs of the Churches in Turkey. We approve its publication and recommend that it be widely read,” the statement says. Undersigned are the ecclesiastical leaders of all mainstream branches of the Christian faith in Turkey: the Orthodox Patriarch, Armenian Archbishop, Syriac Metropolitan, Chairman of the Catholic Bishops and the church leader chairing the Association of Protestant Churches. Turkey was key to the history of the global Christian Church through many centuries. Its significant cities such as Ephesus were visited by the apostle Paul, himself born in Tarsus, and several New Testament books named after its towns and regions. Istanbul, until 1453 known as Constantinople, became the centre of (Eastern) Orthodox Christianity and home of the medieval world’s largest church, Haghia Sophia, now a mosque and national museum. It was also where the Eastern Orthodox and Roman Catholic Churches broke communion during the Great Schism of the 11th century. Today, Turkey’s tiny Christian communities add up to less than 100,000 citizens in overwhelmingly Muslim Turkey, among a population of 80 million. He went on to explain that, back in 2002, complaints had reached Ankara that some of Turkey’s school textbooks contained misinformation about non-Muslim religious beliefs. In response, government officials asked representatives of Turkey’s Churches to participate in a joint commission to prepare basic texts to explain Christian beliefs for the country’s schoolbooks. Over the next year the incorrect texts were replaced with accurate information written by the Christians themselves. 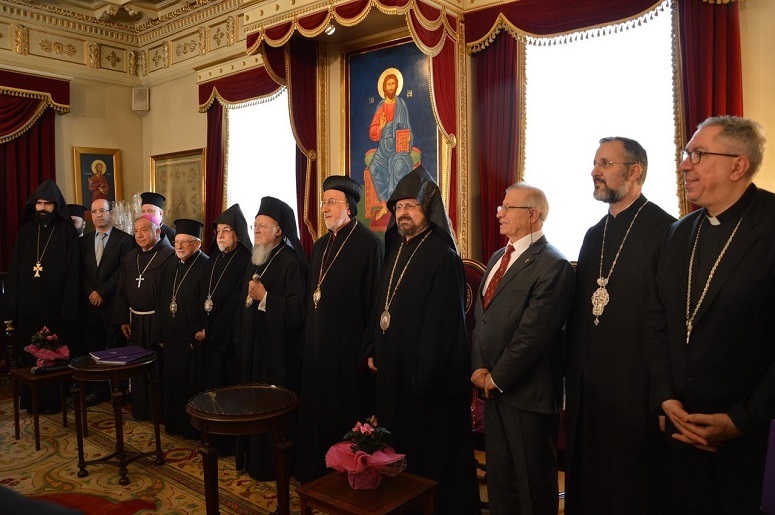 But as Ecumenical Patriarch Bartholomew observed in his address at the book-launch celebrations, the government-launched project had brought the various Church representatives “closer to each other, to discover and recognise the fundamental beliefs that unite us … to realise that much more unites us than divides us”. So the Churches agreed to set up an 11-member joint commission, including representatives of all five Christian denominations, who were determined to produce a concise but complete book outlining the basic common doctrines of Christianity upon which they could all agree. “They were not merely theologians who had sound knowledge,” explained Bishop Masalyan, who authored the final draft of the text, “but active ‘shepherds’, pastors, religious teachers and catechists”. For a decade, they worked together to write and rewrite, critiquing and revising again and again, until by 2015 all the Church leaders had endorsed the final text for publication. 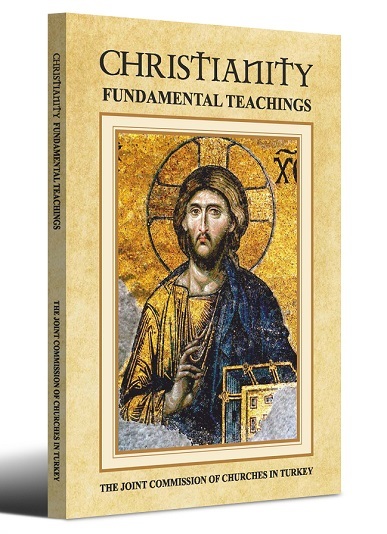 In 12 concise chapters, the book explains fundamental Christian teachings – ranging from the nature of God and the doctrine of salvation in Jesus Christ to the inspiration of the Bible, the activity of the Holy Spirit and the role of the Church. “You cannot find another page like this in Church history,” the bishop stated, referring to the “thorny” problems of “theological addictions” which had disrupted Church unity down through the ages. “Through this book we declared to the whole world with a mighty voice that without hesitation, we see every Church and believer who approves of the fundamental principles and doctrines of faith in this book as fellow-heirs of salvation in Jesus Christ, considering them as our ‘brothers’ and ‘sisters’,” Bishop Masalyan emphasised. Once the Turkish edition was printed, a sub-commission including native English speakers was set up to translate it into meticulous but fluent English, to make it available to the wider Christian world. “Our common wish is that through the English translation, this book may be like a stone thrown into a lake, its waves reaching out to the most remote parts of Christendom,” the bishop concluded. Now available in hardcopy through the Istanbul website of The Bible Society of Turkey, the English edition will also be released as an e-book.